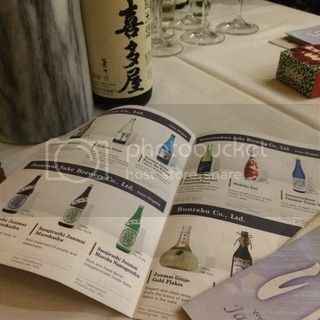 I was invited to a private sake tasting dinner, featuring craft sake breweries from different regions of Japan. 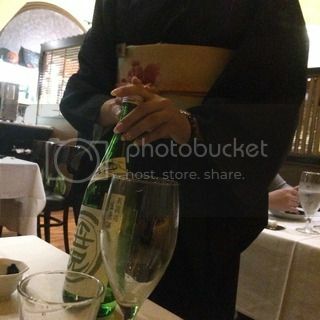 The dinner was at a popular sushi restaurant, SHIKI in Beverly Hills. I went there with a friend of mine who also loves sake, so we were both excited to try what they were going to offer. 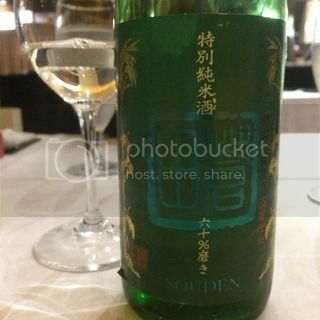 We sat down at a table where intriguing sake bottles were already lined up. The host also gave us very helpful catalogue and information booklet. 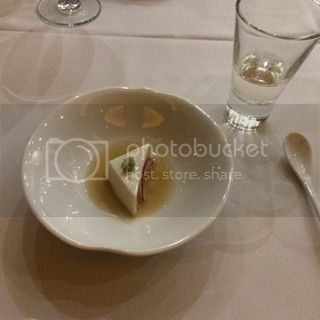 Each small dish was served to pair with different sake. 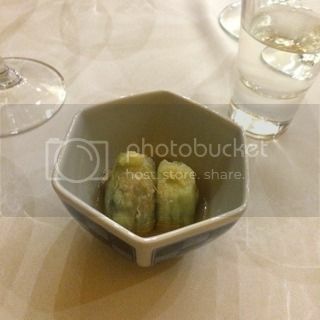 SHIKI's head chef, Shige-san made very tasty appetizers of goma-tofu (sesame jelly) and grilled eggplant with dashi broth. 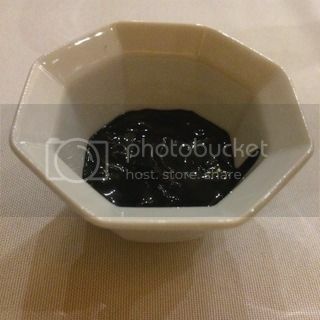 Kabu (Japanese turnip) in sweet vinegar sauce was also very good. Then, we had spinach ohitashi. As we tried more kinds of sake, we were feeling even happier. 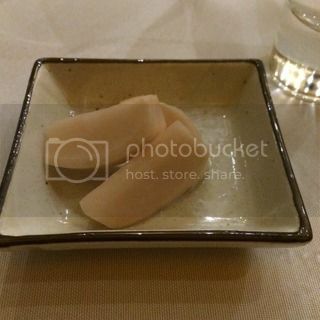 Squid shiokara was deep in umami flavor and great with deeper-flavor "yamahai" sake. 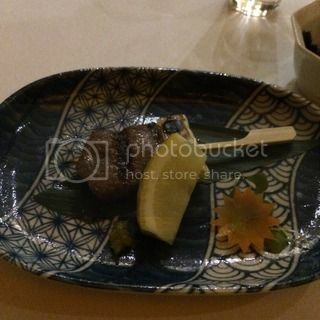 The grilled A5+ rank Japanese wagyu beef was melt-your-mouth tender. 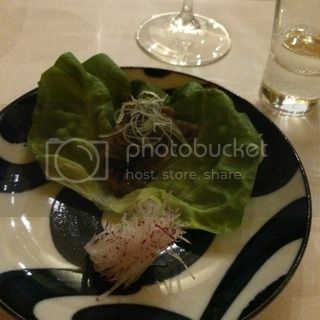 The miso-marinated beef was served on a lettuce, so we wrapped with the shredded radish, taco-style. So good. 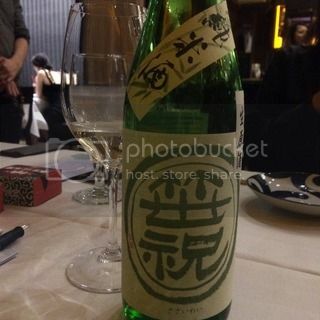 The sake expert at SHIKI explained each bottle really well. 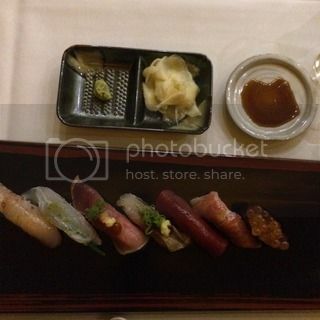 To finish, we had a beautiful array of nigiri-sushi and miso soup. Here was the sake line up. What a great lineup and the pairing with the food was fantastic. 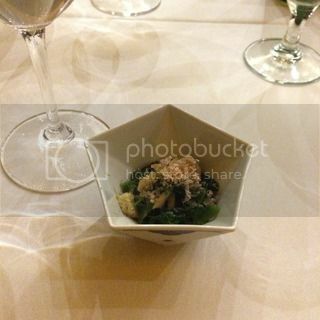 Chef Shige-san's dishes were all really delicious, too. I had such a wonderful experience!